WhoKnozMe – Collaborative Solutions for Active Living Inc. Designs, develops, markets, distributes and supports, a range of personal, internet-based, clinical-quality, medical information systems used by individual patients to manage and improve their health outcomes. Empowering patients to be their own advocates: Improving their personal outcomes, and concurrently; Contributing to a more efficient and cost effective health system. Be securely in charge of your digital life! With so much digital information flowing 24/7, here is the place where you can consolidate, manage, access and share. And best of all, you’re in control. Using our sophisticated, yet easy-to-use portal, you decide what information to upload, you control the security of your information and you manage who gets to access it. It all begins with the WhoKnozMe – LifeLine Health and Wellness application. WhoKnozMe® - LifeLine is a Personal (on-line) Health Applications - Anywhere! Empowering patients as informed advocates for their own care and care of others. It all begins with an emergency medical summary, then an intake form and evolves to treatment plans. Treatment plans include logging personal observations and wellness device data plus tools to create and tracking routines as part of an inclusive patient managed care team setting. Applications include a self-managed LifeLine Personal Health Record and Digital LogBook. WhoKnozMe patient web portal is designed to organize documents and enter data from a diverse network of health information sources from Primary Insurers, Health Authorities & Facilities, Secondary Insurers and finally; Medical & Allied Medical Practitioners. The patient owns their medical information and as a Caregiver, manages data for others. CS4 has researched the processes & best practices for retrieving baseline record information. Call-to-Action! … Take an hour and build an eMergency Medical Summary (eMS) using the $FREE LifeLine PHR – BaseLine application. Don’t let a health crisis become the catalyst for your health and wellness engagement. WhoKnozMe and the health LifeLine Series of digital health applications begins with the preparation of a simple travel and emergency medical record, evolves into a regular preventative health regimen (check-ups, baseline lab tests, physical tests of flexibility and strength etc.) and ultimately, a LifePlan to build or maintain one’s desired level of health, fitness and overall wellness…. Life Plan includes Treatment Plans, Tasks and Action Lists plus evidence of activities (transactions) to analyze outcomes from the patients perspective. LifeLine reports a chronological history of health and other events and activities. Build your last, validated and accurate intake form! WhoKnozMe – LifeLine ePHRecord is a singular secure patient-controlled enhanced shareable record connecting all their care team participants in a partnership including the patient and/or caregiver. LifeLine application is designed to represent an intake form. Each intake form starts with an Emergency Medical Summary (eMS) containing the minimum but most effective information to save one’s life. Build on the eMS but adding the more detailed information contained in the patient Medical Summary (pMS) and finally if chronic care or care@home requirements develop, we are implementing a group of medical, allied medical and medical services questionnaires as part of the Specialist Medical Summaries. CS4 operates secure vaults mirrored between two seismically stable locations designed first for physical and data security then availability, performance and scalability. There is One-way-In and One-way-Out managed by CS4 on behalf of its Members. At the application level, multi-factor security begins with an identity and validation process using a other capsule locking tools. Finally, non-intrusive biometrics for trusted device/browsers and session security configured by the Member & based on the value of the information. The book you ticket by registering and then start the journey at Member Home. More security discussion below…. WhoKnozMe – LifeLine PHR – Intake Form & LogBook assists with appointment planning, current health concerns, symptoms tracking, medications and personal instrument observations all available in our Appointment Planner along with the latest updates to the Medical Summary and Specialist LogBook summaries. 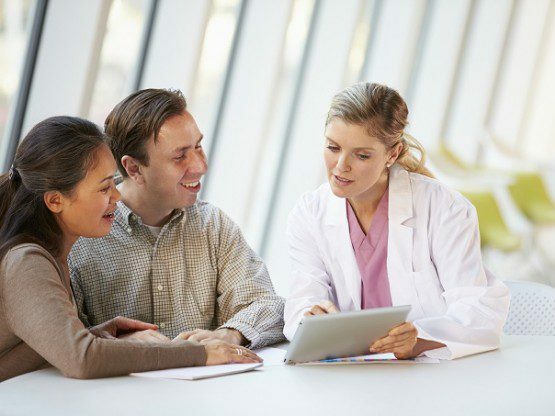 The Engaged Health Consumer becomes an active participant in the examination room noting Practitioner observations, diagnosis terms, specialist referrals, lab requisitions, medication prescriptions and treatment plan instructions. Information Triage contributes to Practitioner efficiency with more time available for the Patient engagement. Triage ensures all required specialist reports are available as well as lab results overlaid with patient observations and the latest accurate and validated Intake Form is on hand assist the General Practitioner and Specialist. The result is all participants time is respected and valued. The nugget from any health appointment is the treatment advice or next steps. But understanding that a patient’s retention declines with distance from the examining room. We need tools to capture the treatment advice and turn them into routines. Poor retention and no follow-up on instructions results in additional appointments and poor outcomes. 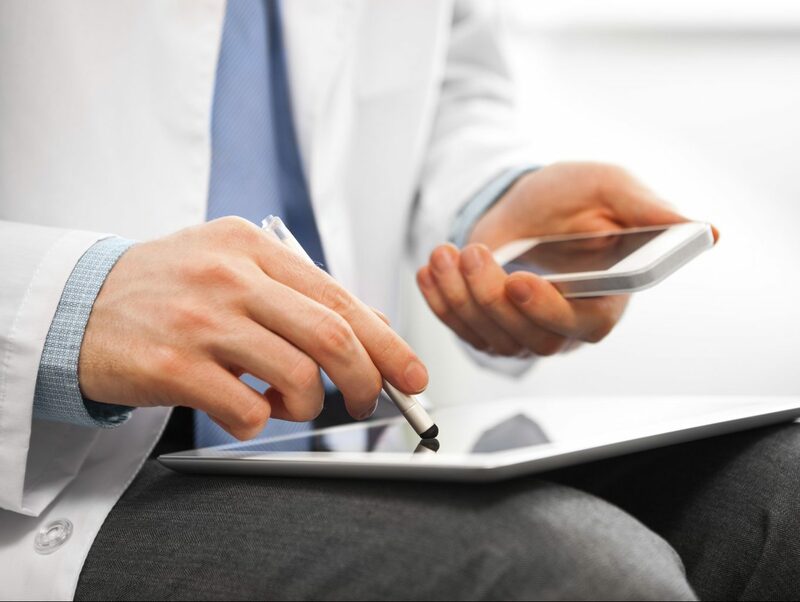 The WhoKnozMe Tablet Browser App and soon to released Mobile App is designed to capture verbal or video instructions, notes and specialist checklist plus dependencies, durations and frequency that can be entered or synced into a patient routine. The result is a coaching process and other more efficient interaction opportunities. Following the plan is made easy the Routine – Member Home landing page for reminders and updates. The process works by only noting exceptions to the routine…. explicit and revocable permission of the patient. Collaborative Solutions for Active Living Inc. (“Collaborative Solutions”, “CS4”, “ The Company”) is a corporation formed under the Business Corporations Act, S.B.C. 2002, c. 57, of British Columbia on July 26, 2013. Business Number BC0976434. The Company operates under the trademark WhoKnozMe®. Collaborative Solutions: Designs, develops, markets, distributes and supports, a range of personal, Internet-based, clinical-quality, medical information systems used by individual patients to manage and improve their health outcomes. Personal Information Privacy and Protection Policy is designed-in at the object-level of the WhoKnozMe data model. Information protection begins at the object-level beginning with the Personally-Private Information Repository is called the virtual Safety Deposit Box (“vSDBox”). The vSDBox and the objects created and contained within the vSDBox have a single Owner, but could over the Owner’s lifetime have different designated Owner_Users, Creators and Updators. This will be illustrated in the Family Unit discussion below. Only one Owner_User can see and potentially open an Owner’s vSDBox at a time. The validation of the user and subsequent revealing and then unlocking of the information repository is at the heart of the Policy and the delicate balance between Privacy, Protection and Accessibility. CS4 has no access to or commercial interest in your personally-private information contained exclusively in you virtual Safety Deposit Box. Our collaborative process!WHAT MAKES CS4 SPECIAL? CS4 uniqueness is its Patient-Centered (“PC”) Health Information System (“HIS”) and Health Information eXchange (“HIX”). CS4 created by a Consortium of technology companies who licensed technology and integration resources to create the Heath Innovation Platform. The Consortium implemented the Multi-Functional Platform, Medical Information Framework, Reference Portal Framework, Mobile App Framework and Personal Security Framework together forming the Patient-Centered Health Innovation Platform. CS4 studied the market demographics to understand the specific needs of each age range. The percentages of the available population in the selected ranges are presented to the left and are based on the total Canadian Population. The diagram below presents the age ranges in increments of 5 years and percent likelihood a person is to be diagnosed with a particular chronic disease from a set of four or ten plus diabetes and mental illness. The “diagnosed” cases of Mental Illness is very linear at an average or one-in-seven people and likely higher. Collaboration, while beginning with a consortium of like minded people and companies who undertook to create a patient-centered health information framework and then design and integrate process to foster better patient outcomes by allowing the patient to a partner in their own care team. The most critical part of the partnership is have access to existing digital health information as the foundation upon which they can contributes their personally derived data and other data derived by allied medical practitioners. “Relationships” exist as part of the normal course of interacting with other individuals or employees of a company. The Relationships are created from the perspective of the Owner. Owner in the Relationship (“Rel”) also the Subject (party) while the Object is other party to the “Rel”. The Owner defines their understanding of the relationships type (care team, medical service provider …) and then each party’s role (Patient and Practitioner). The Object Party to the Rel is informing and invited to participate in the relationship. A “Trusted” Relationship is the process by which a Patient organizes and secures sensitive or confidential information to be used by the “Trusted” party to fulfill their responsibilities. The Responsibilities are defined by a specific agreement (e.g. Health Representative) or a member of a group (e.g. Emergency Contacts or Care Team) . The secure capsules are created and may contain the Patient’s Emergency Medical Summary or Patient Medical Summary, messages with instructions and there documents to be used in delivering the intended services. Emergency Medical Service providers and Emergency Departments end up receiving and treating patients at their most vulnerable and often in widely varying states of incapacity due to injury or sudden onset of a disease or condition. Emergency Contacts can be critical in getting the right treatments that do not interfere with preexisting conditions, medications, allergies or reactions. The worldwide, universally accessible “eMS” report (emergency Medical Summary) contains a standardized and prioritized list designed to save the patient’s life. Once stabilized, the Patient Medical Summary and Treatments Plans can be used to assist in completing the discharge care summary. Care Team is a group of practitioners (medical and allied medical) and service provider (health and others) plus friends or family members acting as caregivers collectively assisting the individual in maintaining health and long life. All parties in the Care Team including the Patient provide service, data and insights contributing to an increasingly valuable and accurate digital personal health record. A single integrated Treatment Plan that is accessible, integrated across practitioners, monitored and contributed to by all Care Team members is designed to achieve practical patient outcomes through coordinated use of patients time and financial resources. The foundation of the Treatment Plan (not Plans) is a common, validated, patient history integrated into collaborative plan with continuous outcome tracking. While a substantial part of a personal medical summary is contributed to by the primary care system (insurer and medical service delivery), the patient living with a chronic disease or injury plus their network of Allied Medical Practitioners (“AMP”) contributes services and data as part of maintaining and managing a chronic care plan. The combined Derived Data from the AMP and Patient observations and personal health device device data is a supplement to primary care systems data. means that all parties (companies and practitioners) are all subject to the same federal, province/state laws providing patients or their representatives access to a “copy” of their health and other personal information maintained by the parties. The holder of the information “must” comply, end of story. Total term from request date (mailing, fax or email date) may not exceed a total of 9o days. Any charges must be reasonable, but given the existence of physician EMR and facility EHR System these should be no charge. 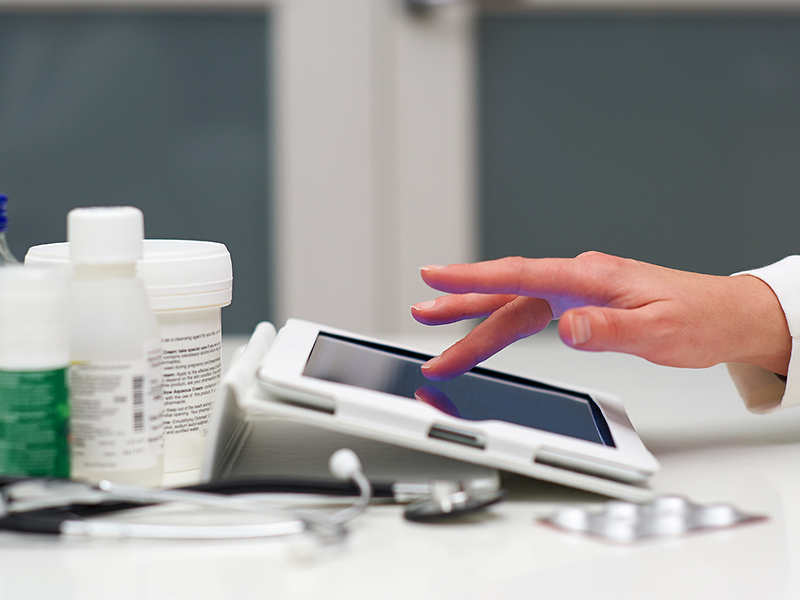 Most doctors new or beginning practice in last 20 years are fully digitally literate. Patients of Canada is starting its life as a project sponsored by an existing Rare Disorder Society. Once underway, it intents to become its own Non-Profit Organization (NPO) as the first in a series of Patients of Canada NPOs partners each either regionally or vertically organized to provide its patient and family caregiver members the services of a registrar, localization services, advocacy, integrated health care and navigation services. Why would a socially responsible for profit company (Collaborative Solutions) recommend formation and sustainable support for a Non-Profit-Organization (Patients of BC)? Collaborative Solutions is a technology company with shareholders. Additionally, there companies collaborating with CS4 by providing licensed software to the WhoKnozMe – Multi-Function Platform (MFP) for a future royalty consideration. They, along with other shareholders, invested in the development of the Medical Information Framework (MIF) and LifeLine Patient and Administrators Portals. CS4 seeks a “reasonable” return on investment derived from modest Software as a Service Fees earned over a large population of users. CS4 will have not direct interest, ownership or governance participation “Patients of Canada.” CS4 but will sign a long term agreement to license technology, provide maintenance updates support and operational services to PoC. It support both innovation and research as a developer and technology integrator. CS4 intends to grant Investor Two options totally 2.5 common shares at $0.20/share for an 20% Ownership of CS4 to PoC to provide sustainability to it operations. The Options are redeemed through payment of $25 per Member/User and $12.50 per Participant and in return CS4 grants a lifetime One-Time-License for its LifeLine Patient Modules (ePHRecord, Digital Logbook and Treatment Planner and Coaching/Adherence). The CS4 Articles allow all shareholders to have a first right of refusal to maintain or expand their ownership position in CS4 with each new offering. Because CS4 is charging a subscription fee we are not a Facebook, Google, LinkedIn, Twitter and others where the user and their data is the product for corporate profit. Collaborative Solutions has gone to great lengths to isolate itself from the patient/user personally-private and private information. There is value in patient information but any monetary value derived from it use in research or innovation should accrue to the patient or their designated non-profit-organization who are representing their common interest. Collaborative Solutions has a number of strategies to support and provide sustainability for an NPO. The structure and organization of Patient of Canada is contemplated to start in the jurisdiction the British Columbia as a Medical Service Plan (MSP) insurer Health Insurance BC which is consistent with MSP plans administered provincially and territorially and then other vertically structured MSP plans for federally organized groups i.e. armed forces, veterans, diplomats, indigenous or other citizen population groups with national patient interests. The Patient of BC/Canada concept was first proposed as a cooperation between Collaborative Solutions, the Canadian Pituitary Patient Network and Vancouver Acromegaly Support Group with an opportunity to engage with at least one national organization starting with Canadian Organization of Rare Disorders (CORD). Using Government of British Columbia as the example, BC provides oversight on key provincial demographic and marketplace classifications including: Seniors, Children and Youth, Information & Privacy, Patient Safety & Quality Council, Athletics, Innovation …. but currently nothing directly related to Patients. Should there be a “Provincial” Advocate, Commissioner or Council or simply a separate patient funded and managed association. A similar reference concept for Patient of Canada (BC etc.) followed CS4’s study of professional colleges or associations (Medical, Legal, Engineering and others) who are organized both nationally and provincially. The Royal College of Physicians and Surgeons is national and in BC is the College of Physician & Surgeons of BC both provide accreditation based services. This is similar for the other twenty-two BC medical colleges providing accreditation for other practitioners and providers. In the case of Doctors of BC (NPO : British Columbia Medical Association), the members are physicians and surgeons. One of the many goals is a voice of BC doctors and includes committee work on patient centered care ideology and health promotion. Patient of BC, in a similar manner to Doctors of BC, intends to represent both past and present patients or groups of patients (societies or NPOs) in the access to and use of medical and health and wellness information and health system navigation services plus encouraging health innovation and patient led research initiatives. Where could or should “Patients of BC” fit in relation to BC MoH – Health Services? The taxonomy for BC patient centered care and engagement is found as follows: Government of BC > Ministry of Health (MoH) > Health Services > Primary & Community Care Policy Division > Patient Care Access > Patients Engagement & Community Programs > both Patients as Partners and Community Health Centers. Under Patients as Partners funds a collection of patient-centered organizations including: Family Caregivers of BC, PainBC, UBC-iCON, UBC-CCMI, UVic Self-Management Programs, Delaney& Associates and Doctor of BC. Other services include HealthLink BC (811) provides 7/24 access to navigators, registered nurses, dietitians, exercise professionals, and pharmacists. Imaging how effective this services would be with access to a unified patient managed health record the treatment plans and coaching tools. The BC Patient Safety and Quality Council and its Patient Voices Network (PVN) is where one would could have been a logical place include Patients of BC but the PVN is used primarily to provide patient feedback in context of patient care delivery through Health Authorities and their clinical facilities (hospitals, clinics and newly announced Urgent Care Centres). The BC Support Unit (advanced patient-oriented research) is another possible partner. Collaborative Solutions for Active Living Inc. is a consortium of collaborators and key resources. Enlightened Spaces Corp – relBuilder/relModeller 2.X an object-relational data model. Sphinx Information Technologies Inc. – Messaging and Document Exchange services and mapping technology. Pattern Discovery Inc. – Personal Predictive Analytics solutions. Identified (MNDA) (planning) – Mobile App Framework, Active Living Planning and Coaching, Secure conference tools Partner. Plurilock Systems – Security, validation and continuous authentication plus session management, trusted devices and digital rights management. Identified (MNDA) – an HL7 Message or Application Programming Interface (“API”) to for access to Lab Results as data directly into our LifeLine – dLogBook – Lab Results. Identified – access to a full download of BC PharmaNet patient data. University of Victoria – School of Health Information Science and Nursing – Patient Journey Project. Patients and Family Members (Caregivers): CS4 is a builder of a patient-centered, clinical-quality electronic personal health record (“ePHRecord”) and digital logbook (“dLogBook”) application offered to individual clients and family members to manage their chronic conditions. The ePHRecord becomes the foundation for continuity of care and one’s life journey as one ages requiring additional services to age well. Practitioner and Medical Service Providers: CS4 has began the research and planning for an allied medical practitioner eChart Service and Care@Home logbook to track and continuously informs Caregivers about medical and other service delivery. All information is synchronized between the service provider records and the patient care history. The record moves with the patient from Care@Home to Assisted Living and Residential Care. This called the Patient Journey Project. Primary and Secondary Insurers – Patient Data: As part of CS4’s research into sources of digital personal health information, we created complimentary processes to request and process data available through various Provincial – Health Freedom of Information Request (“HFOIR”) existing manual and paper processes. As Patient’s become aware of their rights to have all copies of their information there will be increased the pressure to change a paper-chase process a practical actionable data set with automated updates. By automating the HFOIR processes, CS4 can proceed to build an Health Information eXchange (“HIX”) using mapping, messaging and document exchange technology from Sphinx Information Technologies. The resulting messages with their Medical Information data is placed into the CS4 LifeLine – ePHRecord and dLogBook which can then be exchanged to others eHR and eMR applications compatible with HL7 Messaging standards. Where could the WhoKnozMe project go? Patient-Enabled – Lifelong – Continuous Outcome tracking of de-identified Health Information used in ground breaking research and health system improvements. The LifeLine – Health Information System places the patient at center of care and the data associated with their care. Practitioners, Services Providers and Caregivers and the Patient are all participants in a Patient-Centered care model. Clinical Quality refers to the underlying CS4 Medical Information Framework (“MIF”). The MIF contains the medical diagnostic and procedure codes based on ICD9 (ICD10 as required), LOINC codes for laboratory test data, Canada-DIN (USDA to follow) drugs products, Canada-NHP Natural Health Products and soon to integrate with food & beverage (plus ingredients) (Fat Secret). Patient Managed Access by Emergency Contacts, Care Team and Trusted friends and family caregivers using the concept of “Trusted Relationships”. Designed-In Patient Information Privacy & Protection at the object-level allow the owner complete control of information. Objects can inherit security from a parent group but also use settings to differentiate personally-private from private-protected etc. for specific data or file objects within a collection. The portal application allows all members of the Care Team to have access to common information (e.g. an integrated Treatment Plan) while offering more selective and protected information for selected “Trusted” parties. (e.g. General Practitioner or Health Representative…). The Network Effect is based on a “Trusted” network of personal relationships each having developed though experience and direct involvement between individuals. Each of the “trusted” relationships contributes to the well being of the individual as part of their life journey. The quid-pro-quo is the individual is relied upon to help (i.e. being “trusted) by others to do the same. The key to effective Trusted Networks is the use of notification and communication. If one nominates a person as an emergency contact and provides information for them perform their duties, that Contact should be aware and if possible acknowledge the role they are being asked to play….if not find someone else. Contributing to a more efficient and cost effective health system.